After a rough few months, Colorado's total beer share in the on-premise grew for the first time in September since June 2018. Within beer, the craft sector has seen it's fourth month of continual growth, increasing sales by over 44 percent in September. One style seems to be fueling growth in the craft beer sector: IPA. 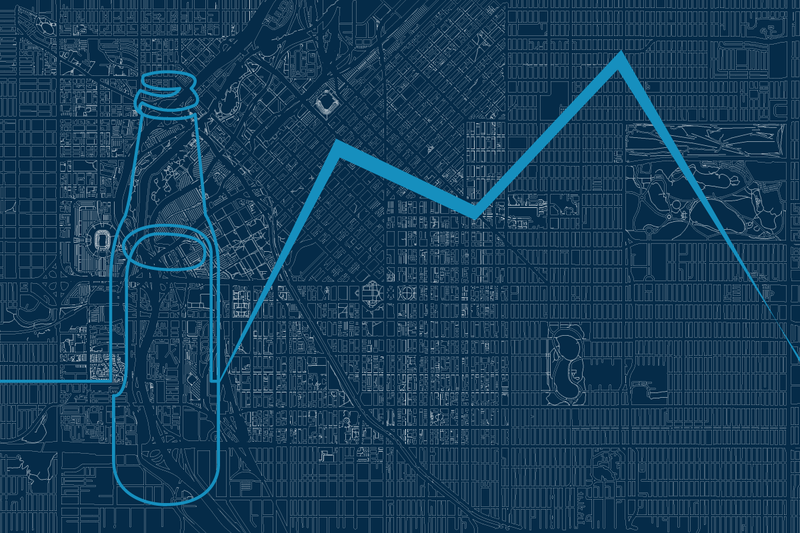 Whether you love or hate how mainstream the IPA has become, it's growing by 78 percent month-over-month and virtually carrying the craft beer sector in Colorado. Per usual, increases in share for the beer category are synonymous for losses within spirits. Last month, the spirit category fell 2 percent. Whiskey was the only spirit style to see growth, increasing it's total share by over 19 percent.